I recently discovered this little gem of a book while browsing the local library. 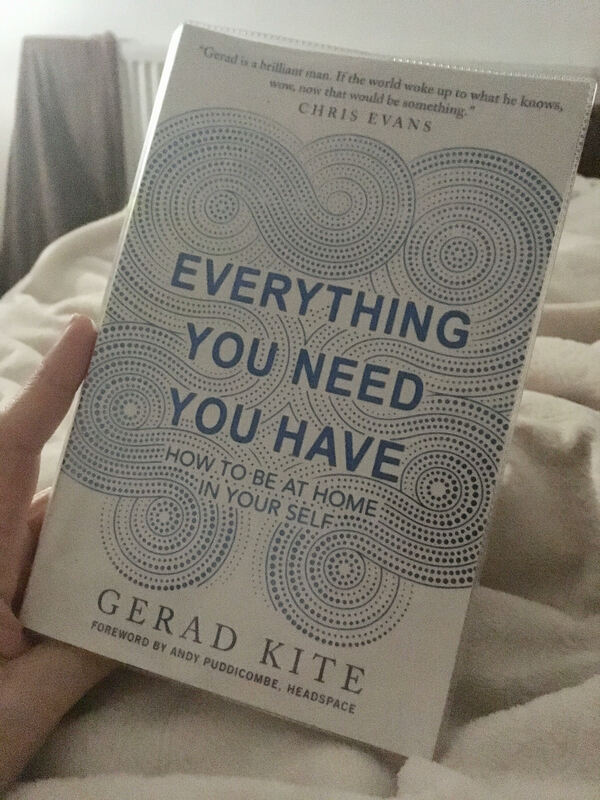 Gerad Kite’s Everything You Need You Have: How to be at home in your self is such an easy read, yet so powerful in places with little nuggets to take away and use on a daily basis. It’s simplicity is what makes it so special. There is also an alignment with the Five Element Theory which also interested me after studying and qualifying in Clinical Acupuncture last year. The natural movements of life according to the tangible elements: Wood, Fire, Earth, Metal and Water (see summary below). So, I invite you to join me “At Home” and you will be at home in your self. Because, what we’re looking for simply isn’t out there – it is within. We believe that we have to be busy, doing stuff, achieving things, in order to be successful. But really there is no such thing as success – these are just events playing out, finding their way, following natural law. We have ended up living almost exclusively “in the head”. Standing in the place of “I think” limits us in time and space and for many people great suffering and pain. We have forgotten how to retreat from our thinking minds and take pleasure in the bliss of simply being alive – to “be”; and to know that one’s existence is so much more than mere sequence of events that plays out before us, confirming that we’re “somebody” with a “life”. I find this so humbling and so profound, and also very useful. It is useful because, when one gets caught up in life’s day to day stresses, or worries, or emotional burdens, it is liberating to retreat back to “Home” (although we never really left) and observe what we are thinking, feeling, experiencing. This is the true essence of life. It is the awareness that what we are going through is simply not real: it is transient and changeable. The quality of Home is peaceful and permanent. As a reflexologist, offering clients the opportunity to simply relax and enjoy the power of touch is where a lot of healing can take place. And surely this is offering or opening up a path towards “Home”? Switching off the mind and focusing on “the now”. For the past and the future are there by virtue of memory and fantasy – courtesy of the mind – and neither are real in “the now”. Gerad gives the reader insights, exercises, tools of how to re-discover Home within your self, and also examples of clients he has helped throughout his career. Enlightenment is beyond mundane tasks, but it is found within them.